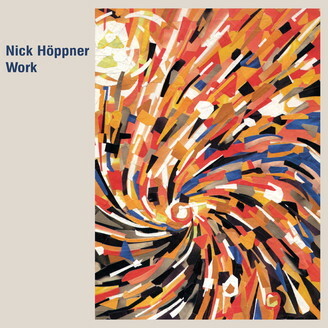 Panorama Bar resident Nick Höppner gets to Work on his second solo album on Ostgut Ton, connecting the territories of House music with the ease of Alt-Pop. Work as in labor. An axiom that fuels the capitalist system just as the Techno/House scene economy says that one needs to keep oneself busy to make a living. As a musician, things are complicated of course. It’s a long way from the romantic idea of creating music simply for the sake of art to becoming a full time musician. Those who have accomplished this feat often find themselves in a professional loop of writing the music, producing it, promoting it (with an info text like this), releasing it and then hopefully selling it. After leaving his full time job as Ostgut Ton’s label manager in 2012, Nick Höppner went fully freelance, focusing on his musically diverse, deep and dynamic DJing in and outside Berghain’s Panorama Bar, but more importantly spending more time in the studio. The result was his critically acclaimed debut album Folk (Ostgut Ton, 2015), various 12“ releases and remixes, and now his sophomore LP, Work, which, more than ever, lays out his refined production skills and his talent to work the machines until they reveal their inner ghosts: nine new songs that now dodge the dance floor, then fully embrace it. Work as in body of work. A record is more than the sum of clocked up hours at the studio, but the result of an artistic-creative process. On Work, Höppner shows his everlasting lust for musical detail, his increasing technical skills and compositional finesse. Work is a very personal, soulful and deep record that breaks through the usual club/dancefloor narrative by documenting Nick’s interest for hybrid sounds and combining elements from varying musical genres. Work’s lead single “All By Themselves (My Belle)” is a very atmospheric, intimate and steadily unfurling IDM piece with ethereal synth and vocal pads; on the album it’s contrasted by “Clean Living” with Tram 78, a modern Höppner club classic: powerful, kick-heavy, muscular, cheerful and uplifting. It’s a very personal track resulting from a recent reencounter with an old friend. Having spent countless hours together in Berlin’s clubs in ever changing states of mind a decade ago or longer, things have since changed for both towards a more „clean living“. Connecting to this musical vibe “In My Mind” follows with a slightly darker tone putting emphasis on bassline, percussion and squeaky sound detailing. “Hole Head” pays tongue-in-cheek homage to Nick’s love for UK club music, when a dashing melody of synths and vibraphone is matched with clattering breaks and syncopation. The dubby, mesmerizing “The Dark Segment” not only impresses with its hypnotic synth figurines, but also by morphing to a shuffling Jazz rhythm towards it’s middle part; “Forced Resonance” uses Oberheim synth brass stabs to dramatic effect; the percussion- and clap-laden “Fly Your Colours” comes with an irresistible piano melody atop an energetic kick; and finally the album-closing, shuffling but rhythmic, noisy yet bluesy “Three Is A Charm” featuring the duo Randweg on clarinet, cajón and acoustic guitar is a coherent departure heading towards Indie Pop territory. It sees Nick collaborating with acoustic instrumentalists for the first time in his ten-year- spanning Ostgut Ton release catalogue. Contact: Berghain Ostgut GmbH / Ostgut Ton | Rüdersdorfer Str. 70 | 10243 Berlin | Germany Phone: +49-30-29 36 02 54 | Email: kommunikation@ostgut.de | www.berghain.berlin/label Work as in artwork. Staying in line with the Folk album, the visual companion for this record comes from German collage artist Frank Bubenzer. As with the artwork at hand, Bankentsunami, and his other works, Bubenzer cuts up print magazine advertisements and recontextualizes them into new motifs, removing all human depiction from the source material, here as a commentary on the world of business, big money and the banking crisis. Work as in work it. As a slogan ‘work’ has always been one of the genre’s most utilized paroles, coined and put on wax by pioneers like LNR, Blake Baxter or Steve Poindexter, to name a few. Not only calling for the crowds to get moving on the floor but also to fully express themselves and their unique individuality inside an all embracing environment. A mindset rooted in House Music that has been an integral part of Nick Höppner’s identity as a DJ and producer from the beginning and all through his decade-spanning residency at Panorama Bar. Work it!